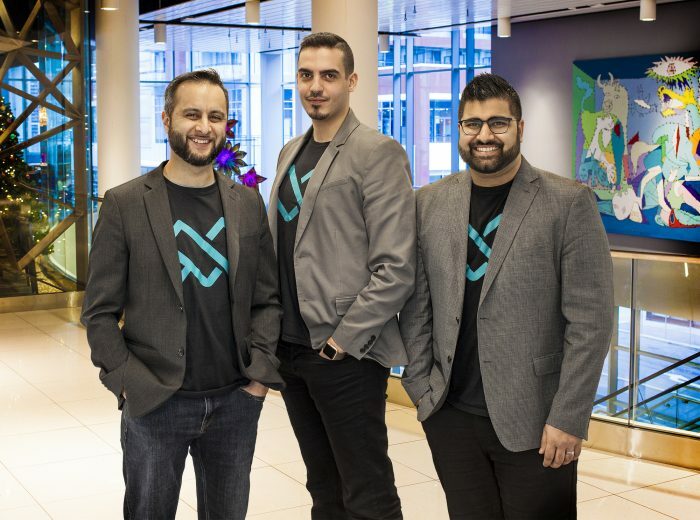 Privacy and user control are emerging as key concerns in wearable technology as innovations in computing are increasingly interwoven into what we wear, two Toronto experts say. Just as privacy is an issue with mobiledevices, social media and theInternet, it’s also becoming a concern with technology integrated intogarments, the two experts told a recent meetup for wearable techaficionados at Toronto’s OCAD University. 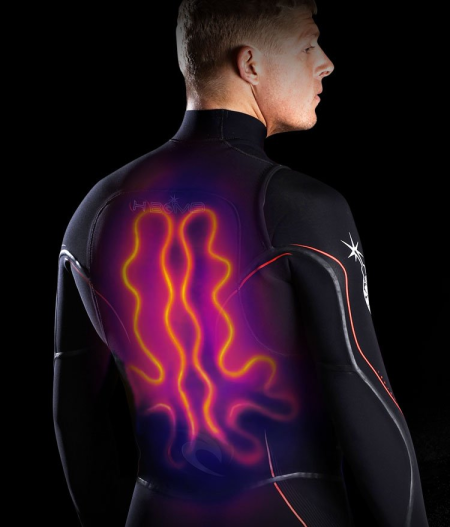 Rip Curl’s heated wetsuit is oneof the better examples of wearable technology today, OCAD’s O’Mahonysays. Wearable technology ranges widely from utility-based clothing (likemilitary vests embedded with wireless communication devices or mobilemedical monitors worn on the body) to garments that feature tech as anelement of fashion (British designer Hussein Chalayan wowed crowds at a2006 runway show with dresses that miraculously changed their shapesusing magnets, computer chips, motors and batteries hidden inside them). Wearable technology is getting less cumbersome (much of it used tofeature heavy, rigid wiring and other clunky metal components), moreaffordable and more fashionable than earlier incarnations that mimickedsuperhero costumes from comic books, O’Mahony said. But as thetechnology gets more specific and effective, it raises questions abouthow much control users will have over such clothing and whether it willinvade their privacy. A commercial featuring Rip Curl’s heated wet suit, the H-Bomb. For example, researchers are working on brainwave sensing technologythat could adapt a wearer’s environment to their mood. One day we mayhave an iPod that will switch to upbeat songs if it senses the userwearing it is depressed, said presenter Ariel Garten, CEO of InteraXon,a Toronto firm that makes thought controlled computingapplications.Other future applications could automatically dim the lights and softenmusic in a room if sensors embedded in a person’s outfit or head setindicate they’re tired, added O’Mahony, whose most recent bookis AdvancedTextiles for Health and Well-Being. The potential problems this raises are twofold: number one, willcontrol overrides be built in so wearers can decide for themselves howthese worn technologies will react based on their moods and bodychemistry? “We have to get to the point where (the wearable tech) is notcontrolling us, we’re controlling it,” O’Mahony said. Number two, what if wearers don’t want their mood, alertness,temperature or other internal data shared with others, signaledexternally on their clothing, or reflected in their environment? “Is it like somebody saying ‘Cheer up’ when you just want to be leftalone?” O’Mahony asked the audience to ponder. Those questions won’t be resolved until much further down the road,Garten said. Right now the buzz around wearable technologies is thatthey’re way more wearable and allow us to do much more than they usedto a couple of decades ago. On the wearability front, Garten saidreading brain waves for thought controlled computing used to requiredozens of sensors attached to the head like in a sci-fi movie; now it’sbeing done through simple headsets which may one day evolve into just asmall earpiece (much like a Bluetooth ear piece). InteraXon isreleasing its own brainwave head set in about eight months, Gartensaid. “Today (brainwave) technology is affordable and accessible,” Gartensaid, noting that the Mattel Mind Flex toy ball costs just $80 andfloats in the air at the mere though-command of the user. One example of a wearable technology that’s extremely useful,fashionable, comfortable and commercial (ie, appealing to a wideconsumer base) is the HBomb heated wetsuit by Australiancompany RipCurl, said O’Mahony. The suits areembedded with a heating system run by a small battery that lasts forsix to eight hours to keep surfers or divers warm and even works insalt water. It’s good wearable technology because it’s comfortable andlooks like fashion rather than clunky technology, she said. “I want technology that anyone can wear (without) feeling like a dork,”O’Mahony said.